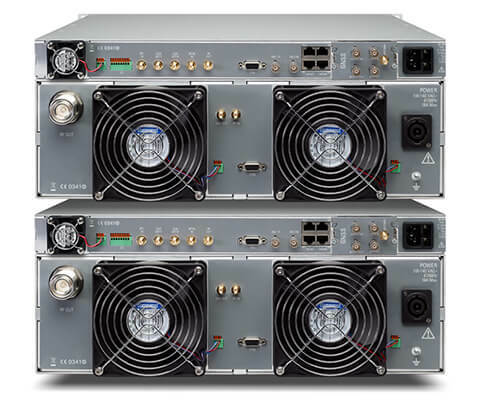 TRedess Fourth Series Medium Power is a family of Air-Cooled UHF Transmitters, Translators/Transposers and Gap-Fillers up to 3 kW, bringing together maximum flexibility, high efficiency based on the use of the latest Ultra-Wide Band Doherty technology, compact design, reliability and very smart installation and operation, fully oriented to minimize rack space and total cost of ownership. TRedess Fourth Series Medium Power covers DVB-T, DVB-T2, ISDB-T, ISDB-Tb, ATSC 1.0 and ATSC 3.0 standards, for both MFN and SFN networks. The units include complete local and remote control, plus all the optional functionalities that the particular scenario may need, such as GPS receiver, satellite receiver, (DVB-S/S2), terrestrial signal input (DVB-T/T2), and even 1+1 functionality. N+1 redundancy is also available. Thanks to Ultra-Wide-Band Doherty technology important cost reductions in energy consumption can be achieved without impacting in a truly smart operation and maintenance. Compact components: Exciter in 1HU. 600W (750W for ATSC 1.0) Power Amplifier module in 3HU. One single control Unit in 1HU. Single Drive and Dual Drive configurations. DVB-T/T2, ISDB-T/Tb and ATSC 1.0/3.0 standards supported. 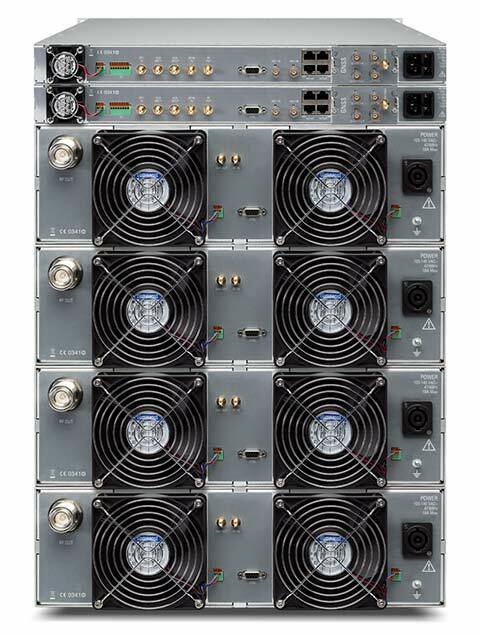 2 x ASI or 2 x SMPTE and 2 x TSoIP inputs with full seamless switching. Built-in RF input for Retransmitter operation. 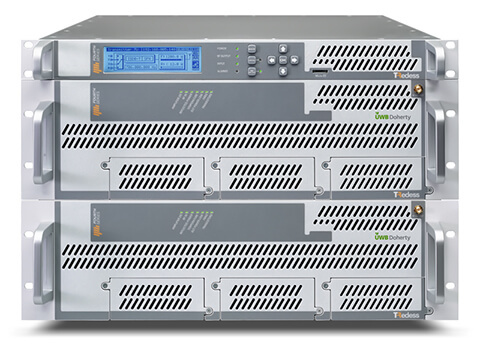 Key advantage of using the same PowerAmplifier module for the entire UHF TV band. Power transistor using 50V LDMOS technology, leading to a higher power density. 1+1 and N+1 Redundancy configurations. Power supply redundancy in Power amplifiers. Outstanding Real-time DAP performance, equalizing the transmitter system, quickly, easily and at any time optimizing Shoulders and MER values. Easy operation based on very user-friendly local and remote interfaces. Monitoring of the equipment operation: detail tracking at both service and internal HW level. Real time display of output Spectrum Graphs and Shoulder values (via Web server or SNMP). Hot- swap power supply modules, removable from the front panel. SD card on the exciter front panel, for a fast transmitter cloning and configuration. The Power amplifiers based on the Ultra Wide Band Doherty technology allow to reach very high efficiency levels, allowing a very significant and decisive reduction in the cost of energy consumption. The big advantage of the use of UWBD technology is the fact of allowing to perform a change of the RF channel without any need of adjustment or HW modification in the power amplifier, what implies a cost reduction and simplification of spare parts. Very significant space usage reduction, hence the costs for renting the transmitter space at the site. High system reliability due to the redundancy systems 1+1 and N+1. Very simple local and remote control of the Transmitter via a very intuitive and friendly Web interface and a local LCD display. High system reliability also due the available Dual Drive configuration. Space and cost savings due to the built-in (DVB-S/S2) satellite receiver.